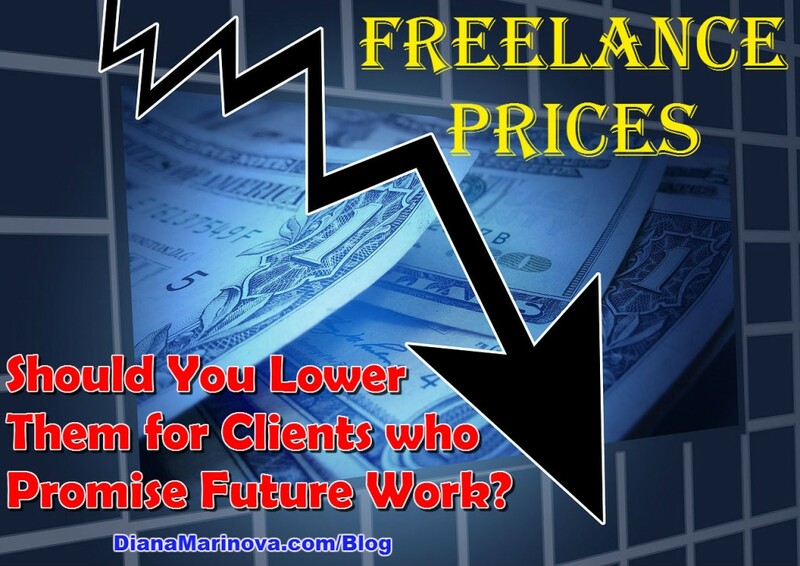 Should You Lower Your Freelance Prices for Clients who Promise Future Work? Prospective clients often ask me to lower my freelance prices, promising more future work or long-term collaboration. I decline instantly almost always. However, note that this is not exactly a ‘yes or no’ question. Read on to see in what cases considering collaboration might be worth it and why. More work for less money is not a good deal for the freelancer. Period. From a business standpoint, I can understand why constant workflow would be a good-enough reason to lower the freelance prices. The freelancer’s payments would be just another weekly or monthly bill the business would have to pay. So lowering the hourly rate (or its equivalent if the project is fixed-price) is a smart move for the client. If you are the freelancer though, this is far away from a good deal. You will have a guaranteed higher workflow and in return, you’d make less money per hour. Yes, having higher workflow from this client would save you time and money you’d otherwise spend marketing your services. But in the same time, this client will take up more of your time and potentially cause you forgone profits from other or new clients, only because you agreed to work at a lower rate. For example, let’s say a new client finds you. He sends you an inquiry to work with you, on your official rate. His project is interesting, pays well, but requires 7 hours every week for the next 6 weeks. You look quickly through your calendar and you see you have only 5 hours available, at best, because that one current client who promised you future work is taking up too much time; and at a lower rate, too. So now you are forced to pass on this more lucrative opportunity only because you said YES to this long-term project at a lower rate. 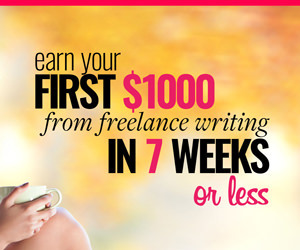 Do you think this is fair to you, dear freelance reader? In most cases, it is not in the freelancer’s best interest to lower his or her freelance prices for clients, who promise long-term or future work. Clients often say they will award more projects to you once they see how well you work together, what the quality of your work is, and alike. This concern is legitimate but it’s not a justification for lowering your rates. You can always start a trial assignment to address it. 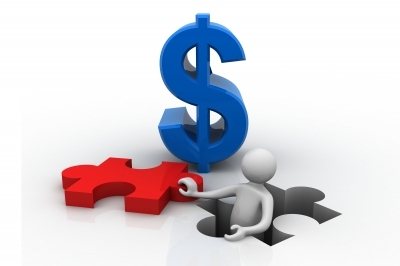 Many clients hide behind their tight budget, so to speak, and promise you more work once their business has left off. In most cases, that promised future work never comes and the prospect ends up being difficult or straight forward a bad client, with whom you don’t want to work long term anyway. Never lower your prices drastically only because the client promises you future work. You can consider making a small discount but only if the client awards to you all the work right away, and if there is something in it for you – e.g. advanced payment, additional payment for any and all corrections of your work, free usage of his product, royalty fees, or something else you see fit and is legally possible. If your prospect’s project perfectly aligns with your immediate goals and objective, you may want to consider their offer. Here’s a specific case when you may want to consider a proposal, despite your client’s requirement to lower your rate. Let’s say you are a writer. 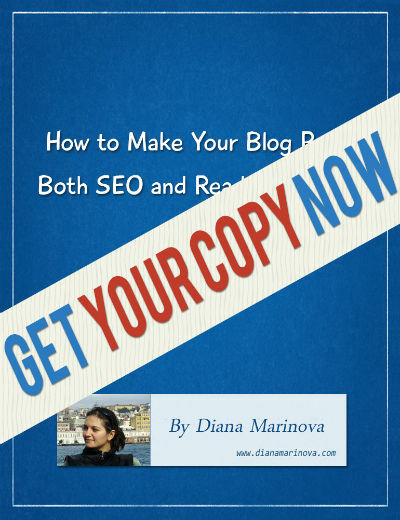 You want to become an expert writer in the healthy eating and healthy lifestyle niche. You receive an offer for 100 articles on the topic. Since you were ready to dedicate a significant portion of your own time to research the topic and write various materials for free, you might want to consider this client’s offer despite the lower budget he has. But again – don’t slash your prices in two. Agree to a small discount and only if all your requirements are met. Sign a contract including those requirements, the workload and the time line of the project (among other things). Stand by your principles and freelance prices, always! Your freelance services are not something you can price ‘per piece’ and discount as if you were buying wholesale. This is intellectual work. It’s not about the price your client pays; it’s about the value you bring. Never forget that! How do you handle clients who want to cut your prices in two, promising you more work in the future? I’ve certainly had the old “lots more work to come” carrot dangled before me on numerous occasions and, in the early days, would lower my rates accordingly. Now I tend to stick to my guns, having learnt that the promised ongoing work rarely materialises for one reason or another. But, as you say, every case is different so it’s not a black & white rule. Good Article.. I liked it. Basically I am a sales person. I faced same situation like promising feature work from client. But I always facing problem at the end stage of closing the deal. it may be in terms of time line, budget or not getting response from client end. From initial contact stage of client, I will follow process to impress the client by sending feature listing/formal proposal or talking over Skype too. Do you have any suggestions to handle these type of clients? Hi, Lakesh – I didn’t quite understand – what are “these type of clients” that you need help to handle? The reasons for not closing the deal may be different – e.g. they asked some questions and you left your answers for the interview (as opposed to addressing them in your cover letter). Another reason that comes to mind is that your price is higher than the average and you don’t communicate well your value proposition so the client is reluctant to pay higher price. If you share what specifically your problem is, I may be able to point you in some direction. No. Never. I’ve never given a discount of any kind to any client, never lowered my prices for anyone, never written for free, never fallen for the’ promise of future work’ line, and I currently have more work than I can handle – at the rates I specify. I could not agree more to this article. I believe that once should never heed to a request for a lower bid/price except for some situations and a promise of “more work” is not one of them because most of the time, it’s a TRAP. Every time I place a bid I take time to asses the information (job description) and everything else to consider in placing how much I should be compensated for the time and effort and the use of my skills for a specific project. If they don’t like it, I try to reason out why I believe I deserve that payment. I am a firm believer of “you get what you pay for” and though every time I hear a request to lower down the prices I think about it, I never consider “more work” as a valid point. if I need more of it, I just need to place some more applications anyway. Great article. I’ve never been promised more work. I tell them my rates and they either take it or don’t, but I have lowered my rates on my own terms. For example, if my current workload is slow then I’ll pick up some quick projects that can fill the gap, at a lower rate. This is better than not being paid, so I don’t think that’s an ill choice to make. Sure, lowering your rates on your own terms in a slow month can be the right thing to do, Elna – but be careful not to lower them too much. A reasonable discount or better yet, added value for the same price won’t do you any harm but if you, say, cut your prices in two because you have a slow month, it potentially can hurt your reputation and integrity as a high-quality and thus, highly paid freelancer. I agree entirely – so many clients think they are entitled to lower rates just on the simple promise of long term work, but it is never worth it. Our time is better spent marketing to find higher quality clients that have the budget to afford fair rates. Wise words from a wise and seasoned veteran! In fact, in almost any business more work for less money rarely proves to be profitable in the long run! This is of course a very hard question to answer! And thanks for emphasizing on it more! I, too, don’t lower the price. The price should speak of highest quality in return to make the clients keep coming. We too have to constantly check our pricing time to time so that we are not pricier than market in general. You´re welcome, Adeel – and I also thank you for the feedback. I am glad my post was a timely reminder for you. The most important thing is for you, being the freelancer, to have a sound pricing strategy in place, for new and current clients alike, and to always make informed decisions about your rates.